Millennials are actually savvy spenders. We’ve often hear people talk about how much millennials are “entitled“, “spoilt” and very willing to spend on frivolous things that their parents would balk at. But does spending on things their parents would not necessarily make them careless spenders? If you look a little deeper or speak to them, you might be surprised. Here are 4 common things millennials spend on that their parents most likely do not, and why they choose do so. Chanced upon a cafe’s menu selling toast with scrambled eggs that costs $15? Millennials still visit these “overpriced” hipster cafes because of more than the food. They find value in paying a premium for the ambience, music, and the potential for an “Instagram-worthy” photo. On the other hand, the parents of millennials are more likely to visit an established dining place (Ding Tai Fung, Crystal Jade and etc.) to have the kind of food that they like. One that millennials are willing to pay for that their parents are more reluctant to are: phone apps and online subscriptions. A 2017 U.S. Mobile App Report show that millennials don’t mind shelling out money for mobile apps, with 46% of millennials spending at least $5 on an app in 2016. Rather than see it as yet another unnecessary spending by the “strawberry generation”, you could also see it as them wishing to save money. By subscribing to services like Netflix, they don’t have to pay for expensive outings at the cinema. 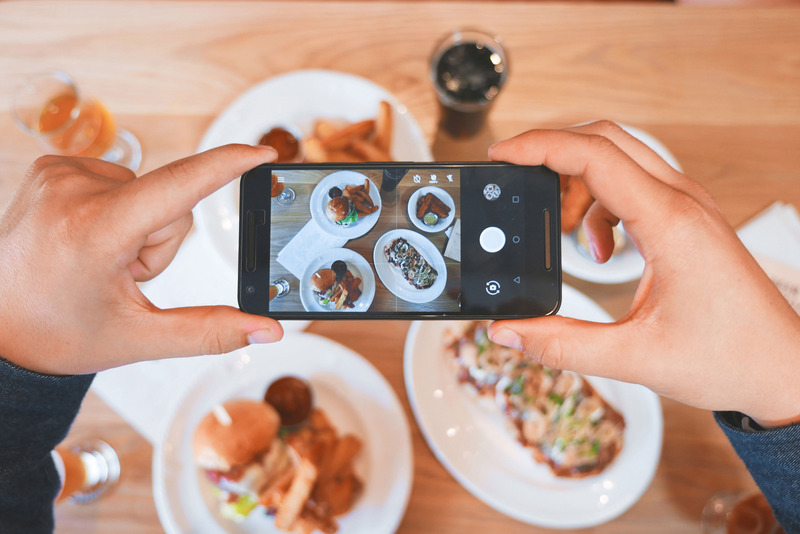 With modern innovations, its common for millennials to use mobile app services such as Food Panda, Deliveroo and UberEats to enjoy the convenience of having hot food delivered right to their doorstep. Going a step further, these food delivery services often have promo codes that you can apply to get additional discounts with your meal. So while their parents might not be inclined to use such services because of the perception that additional delivery fees make such conveniences “not worth it”, the average millennial is probably saving money by eating at home and still enjoying the same “restaurant”-quality food! Travelling is something millennials do so frequently that nobody even takes much of a second glance when seeing travel photos on social media. While their parents do look forward to the well-deserved holiday once in a while, millennials set the standard for what it means to be a “frequent flyer”. However, does that mean that millennials spend alot more on travel? Where do they get so much money, anyway? The short answer is that they are probably going about their travel in a very smart way. Scoot’s Take Off Tuesday or Jetstar’s Friday Fare Frenzy are sites millennials visit when planning for an overseas trip. Being young, millennials are more willing to sacrifice comfort for cheaper deals. They would choose budget airlines and use frequent flyer miles to save extra money. Millennials, being tech savvy, are strategic about where and when to book vacations in order to secure the best experience at best price. The hotel industry has been affected with the increasingly number of millennials travellers who are very comfortable using services like Airbnb, which offers accommodations at potentially a fraction of what it would cost to stay in a hotel. Read Also: What Are The Pros And Cons of Flying On A Budget Airline?